Hello everyone, this is Gemma from mygirllollipop.com. 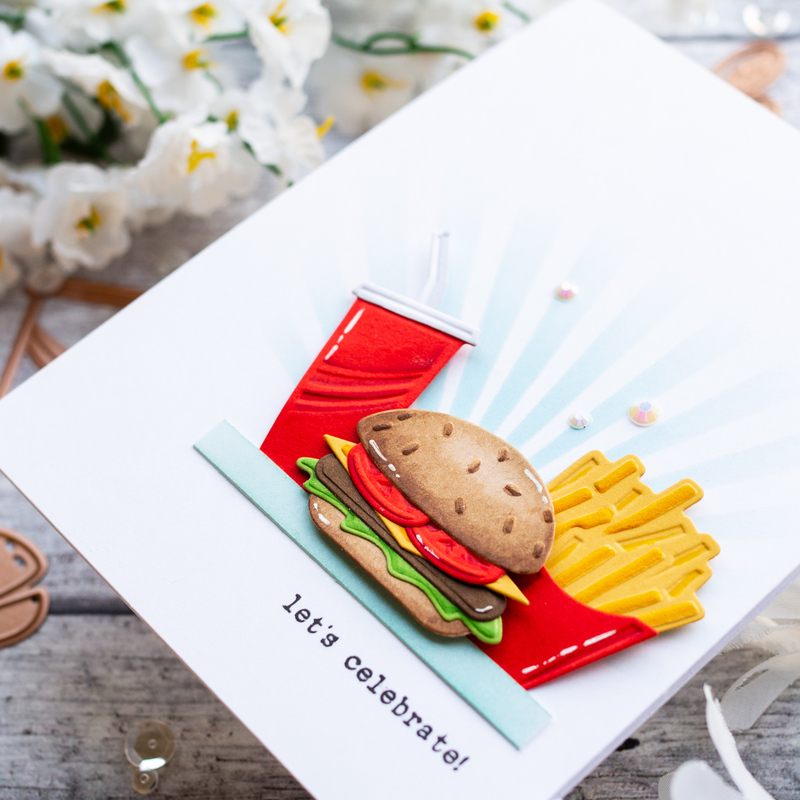 I am thrilled to be guest designing on the Spellbinders blog today, showcasing the new Die D‐Lites collection. 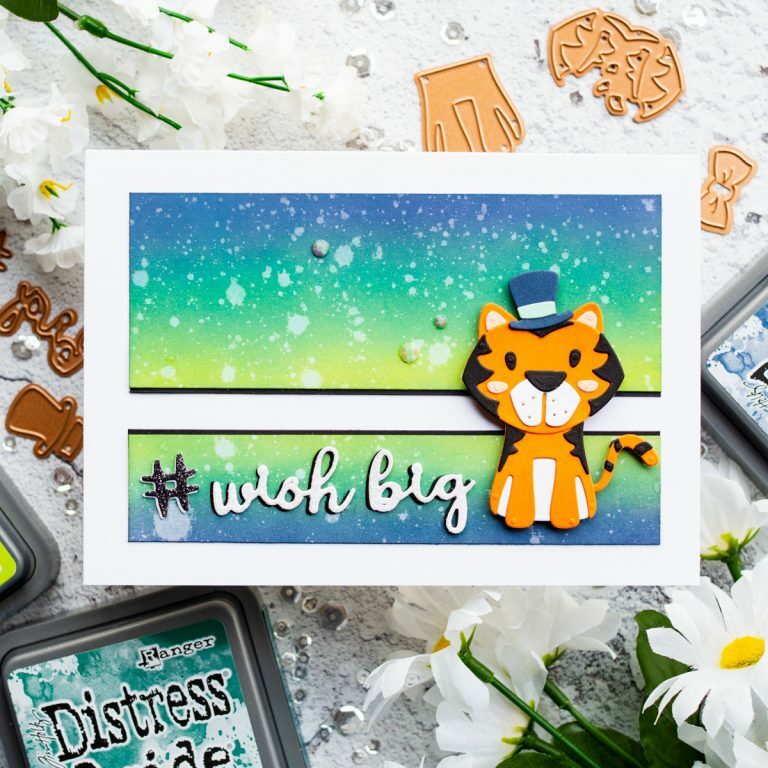 For all my cards today, I’ve also used some lovely cardstock from Fun Stampers Journey for my die cut pieces. 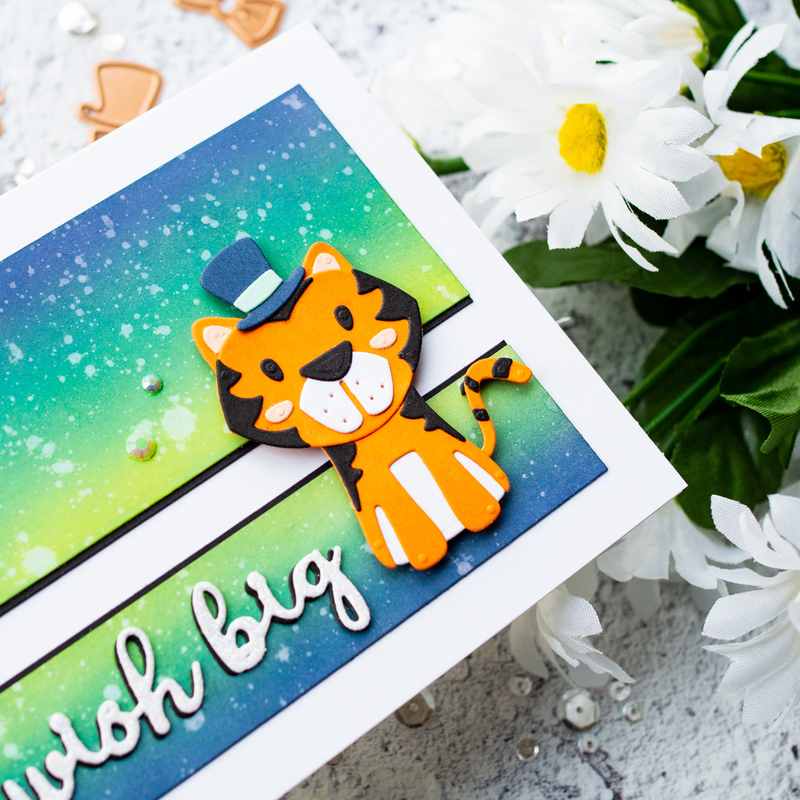 Card 1: Tiger, Oh My! The Tiger, Oh My! 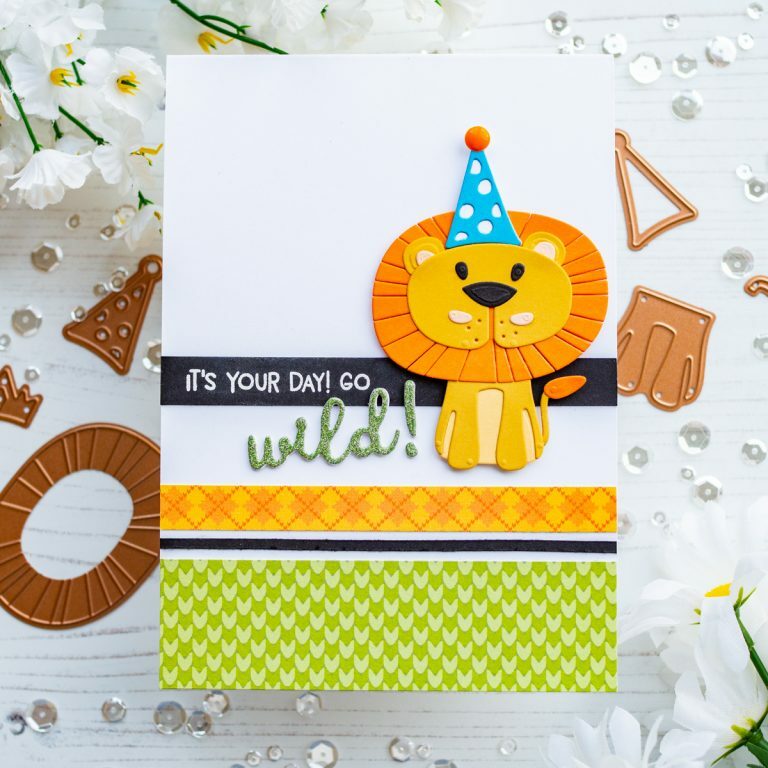 D‐Lites set is the star of my first card today. This set comes with a great choice of accessories. I chose to dress my tiger in a top hat ‐ doesn’t he look smart! For my background, I cut two pieces of white card and blended on distress oxide inks in Twisted Citron, Pine Needles and Chipped Sapphire. I then spritzed it with water for lots of droplet details. I added some thin black strips to the inked panels, then layered them onto my card base. 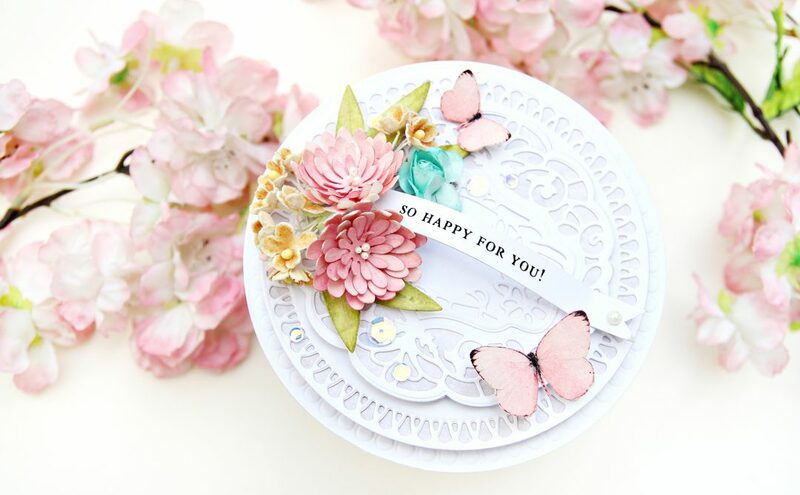 I used some dies from the Wild About You D‐Lites set to create my sentiment. I layered glitter card stock over contrasting plain card to give each die cut a shadow. This also adds some dimension to the sentiment. To finish, I adhered a few pearl white jewels on the top panel. 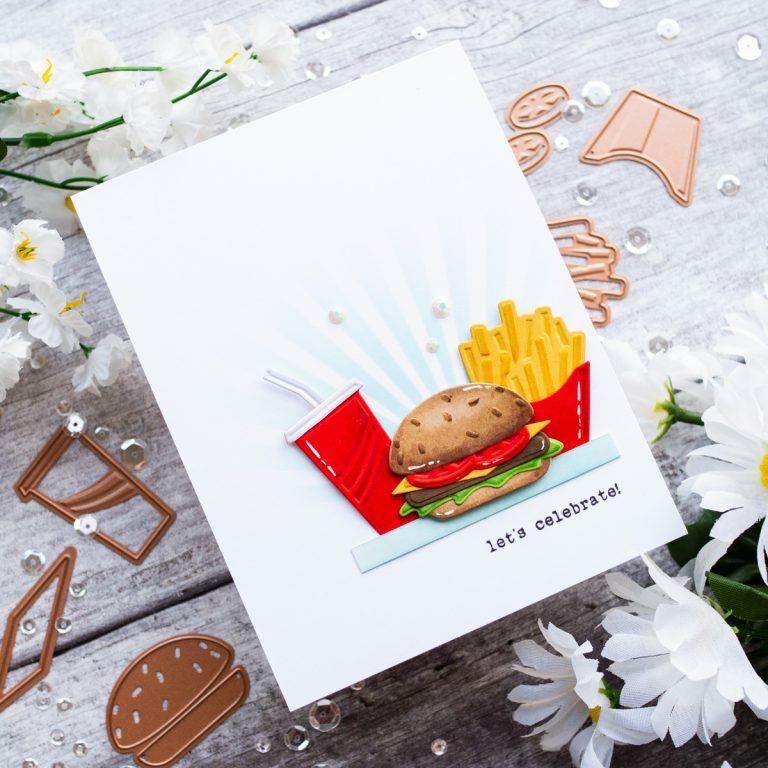 I used the Drive Thru’ D‐Lites set for my second card. I think this set is perfect for masculine birthday cards. It would be great for invitations too. I used white card to die cut the straw and another cup, to add a contrasting lid. 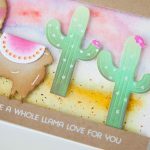 Once I’d die cut them, I ran them through my die cutting machine again, this time using the embossing sandwich, to get those fantastic embossed details. I then added some quick shading with my copic markers, to highlight the embossing even more. On my card base, I used a stencil and some distress oxide inks to add some rays. 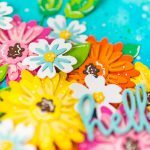 I added a strip of cardstock to help ground my die cut images, then stamped a greeting underneath. 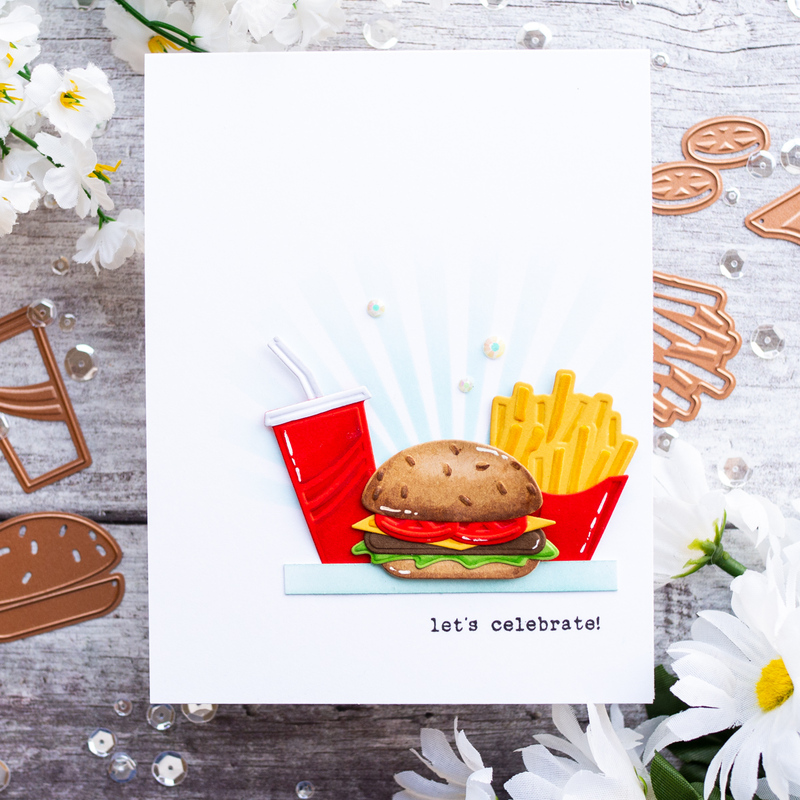 I added the drink and fries to the card using some liquid glue at the base and some foam squares towards the top for dimension, I then added the burger with foam tape, and some pearl white jewels for a finishing touch. 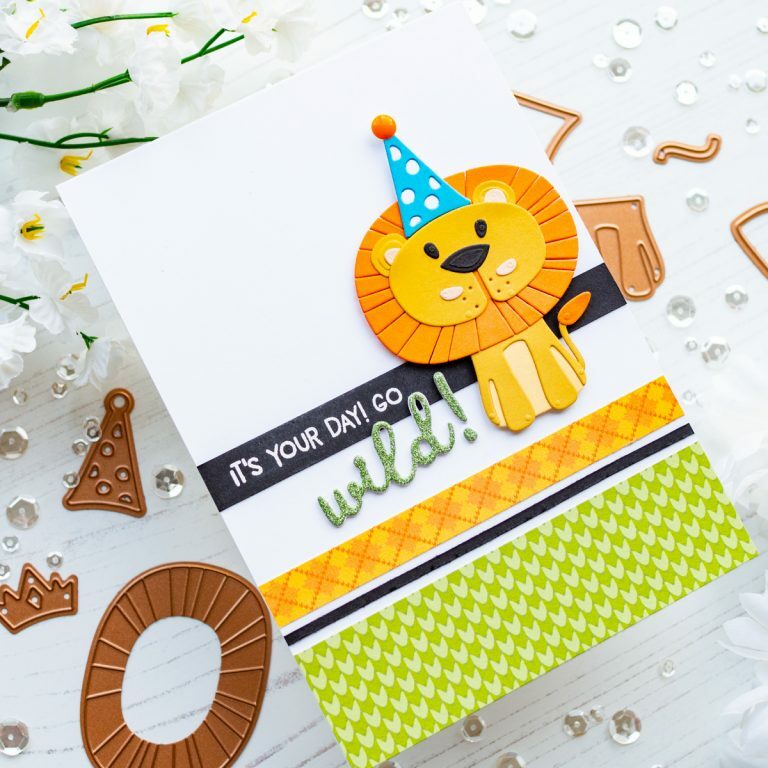 Card 3: Lion, Oh My! 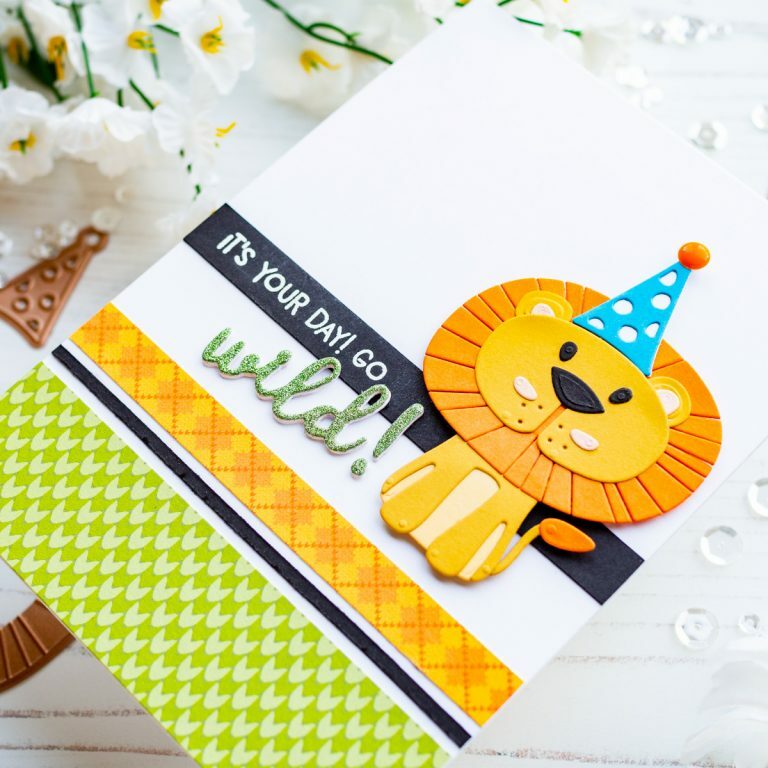 On my last card, I used the cute Lion, Oh My! D‐Lites set. I love the accessories that are included in this and the other sets in the collection. It’s fun to customize the characters for different looks. I adhered all the pieces together with liquid glue and added an orange enamel dot to the top of the hat. For the sentiment, I heat embossed a stamped greeting onto a black card strip, using white embossing powder. To finish the greeting, I added a die cut word from the Wild About You D‐Lites set. 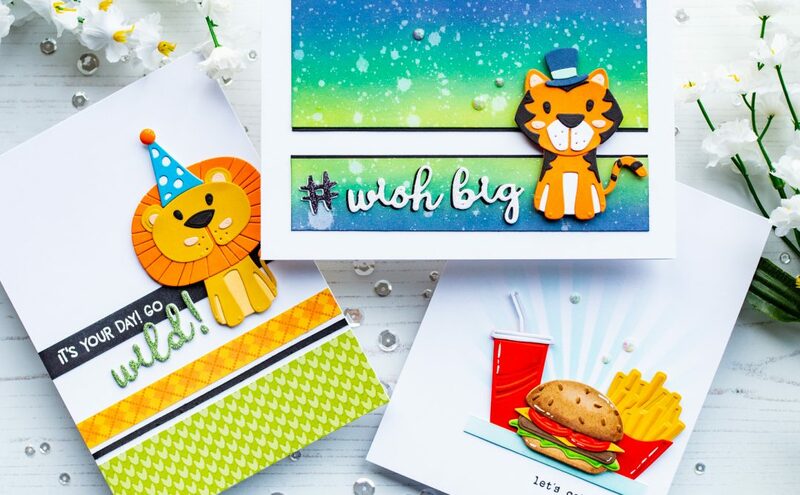 I layered together two white die cuts and finished with a green glitter top layer. 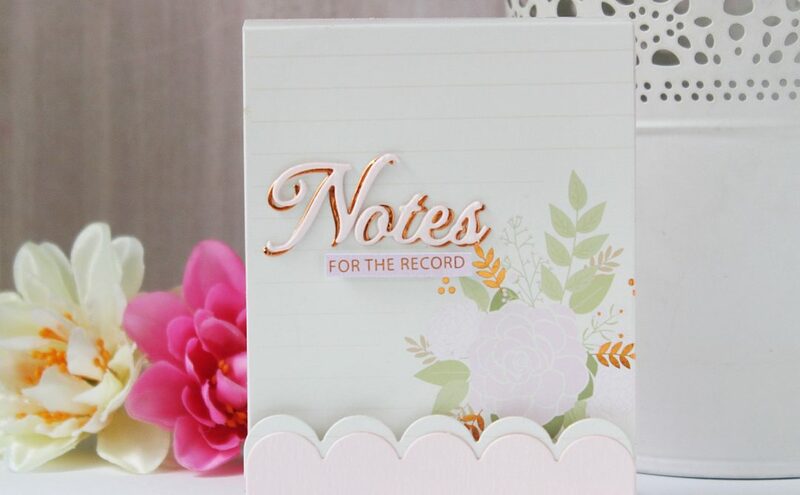 To add some colour to the background, I added some strips of patterned paper to the card base, along with a thin black card strip to bring it all together. 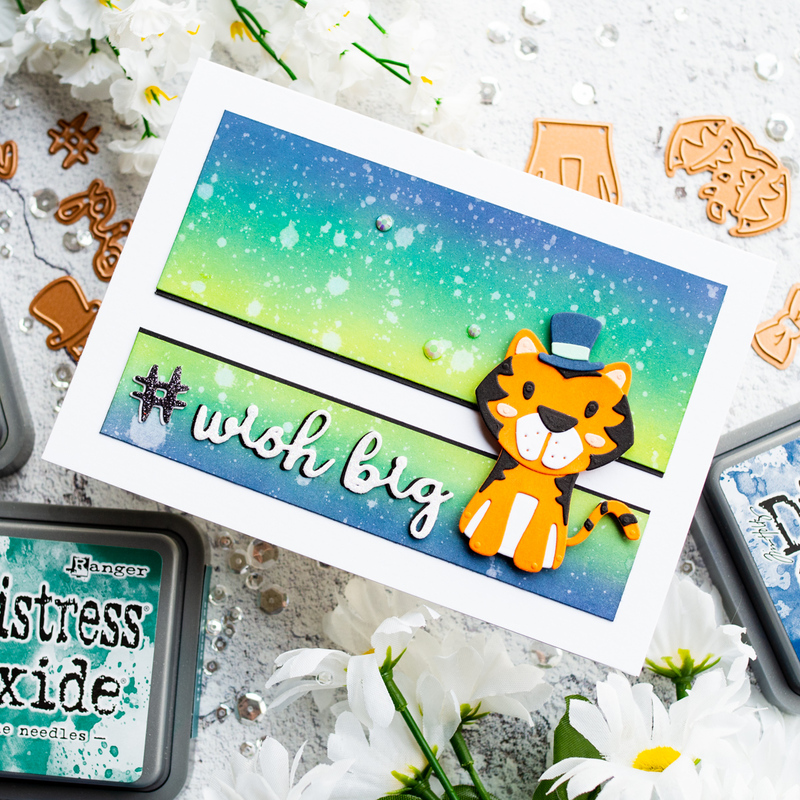 Hello Bluebird Jungle Littles stamp set; Hello Bluebird Typed Everyday stamp set; MFT Radiating Rays stencil; Lawn Fawn Knit Picky Fall papers; DCVW Glitzy cardstock; Lawn Fawn glitter card; Distress oxide inks; Copic Markers; Doodlebug Sprinkles Tangerine; Pretty Pink Posh Pearl White jewels; Versafine onyx black ink; WOW Opaque Bright White Super Fine embossing powder, WOW clear embossing ink; Lawn Fawn liquid glue; Foam squares. 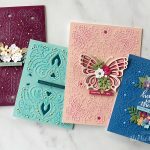 Thank you for joining me today for a look at the new Spellbinders D‐Lites collection. 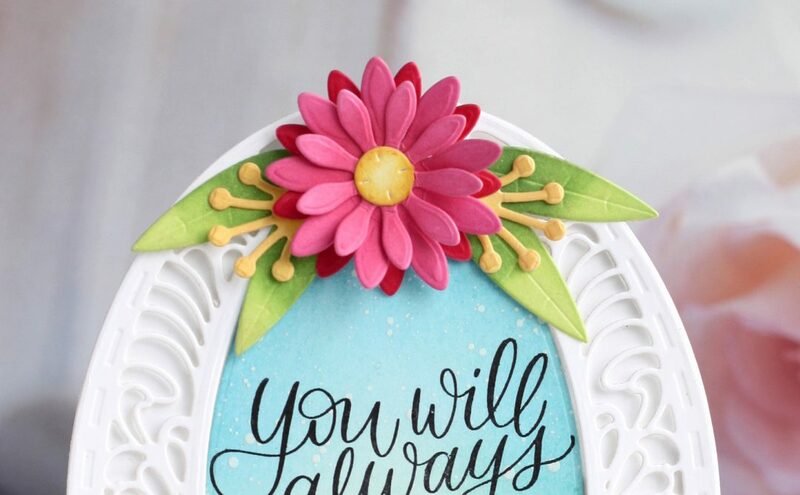 A big thank you to the Spellbinders team for inviting me to guest design with them.